This brought to mind all the people I’ve known over the years who’ve abandoned the Christian faith because they came to see Easter as a joke, a hoax or a cruel prank that exposes believers for the gullible fools they think Christians are. As I continued to contemplate “Easter Fools’ Day” I recalled the words of the Apostle Paul in I Corinthians saying “the message of the cross is foolishness” (1:18) so “you need to become a fool to be truly wise” (3:18), and remember “those of us who follow Jesus are the greatest fools on earth if the resurrection isn’t true” (my paraphrase of 15:13-19). At this point I switched gears and started reflecting on April Fools’ Day. I smiled, thinking about how fun and refreshing April Fools’ Day is. How it brings a sense of levity and excitement. How it’s the same event year after year, but you never quite know what to expect. You can’t predict what lighthearted surprises it may bring. I wondered why Easter doesn’t bring this same sense of cheerful anticipation. All too often Easter feels hollow, lifeless and monotonous. Certainly not as energizing as a good April Fool’s Day prank! In my spirit, I sensed he was right. But I affirmed his revelation reluctantly. You see, I’m an introvert. I don’t like to party. Mingling in a crowd of people in someone’s backyard or living room, or anywhere else, is not my idea of a good time. My happy place is being alone with God in the middle of a forest or in a kayak on a quiet lake. Regardless of my personal preferences, the Spirit continues to challenge me to move out of my comfort zone and practise neighbourly hospitality. All this to say, my mind eventually started wondering if our Easter service should be a lively party. If so, how do we plan an Easter celebration that’s meaningful for introverts and extroverts? How do we throw an Easter bash that won’t terrify the bashful? How do we make sure it’s enjoyable for all ages? Then the answer came to me. “Who cares!” Seriously. Every year, fewer and fewer people care about our church serv-ices. If this rate continues, nobody will be showing up soon anyway. I’m convinced that we need to spend less time planning worship services and more time preparing ourselves. Our religious pageantry is ultimately meaningless, and possibly annoying to God (Amos 5:21-23). The best thing we can do is prepare our whole beings to be expectant, aware and responsive to the living presence of the Spirit of Christ in our midst. My highest hope for people attending worship gatherings at Avon Mennonite Church is that they don’t find what they were expecting, namely, the same old thing. May people be cheerfully surprised to experience God in a new way. Or surprised by the insatiable hunger for Divine Presence growing within them. Or surprised at how the “foolishness” of God is starting to make more sense than the “wisdom” of humanity around them. Or surprised that the victorious God of Easter is also the hilarious God of April Fools’ Day. 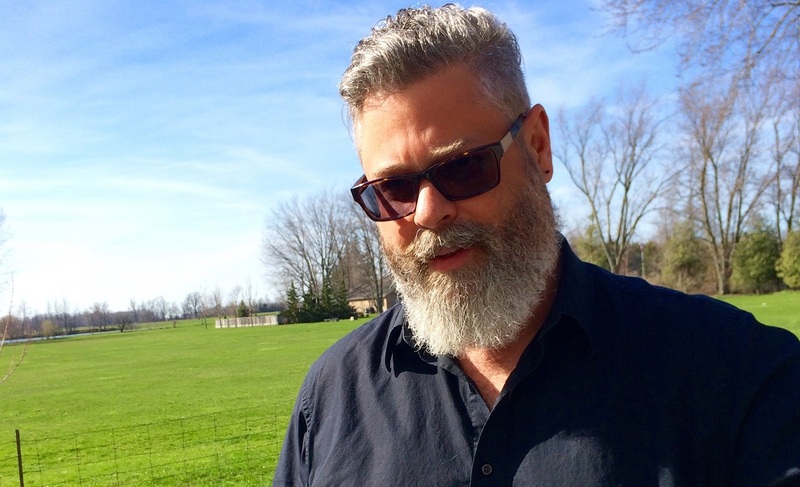 Troy Watson (@TroyDWatson) is a pastor of Avon Mennonite Church in Stratford.